NEGROMANCER 2.0: Filming Starts on Latest Version of "A Star is Born"
Filming Starts on Latest Version of "A Star is Born"
BURBANK, Calif.--(BUSINESS WIRE)--Filming begins today on Warner Bros. Pictures’ reimagining of the musical “A Star is Born,” starring Bradley Cooper and introducing Stefani Germanotta, known across the globe as Oscar-nominated music superstar Lady Gaga, in her first leading role in a major motion picture. Four-time Oscar nominee Bradley Cooper (“American Sniper,” “American Hustle,” “Silver Linings Playbook”) is helming the film, marking his directorial debut. Cooper plays Jackson Maine, a country music star who is on the brink of decline when he discovers a talented unknown named Ally (Germanotta). As the two begin a passionate love affair, Jack coaxes Ally into the spotlight, catapulting her to stardom. But as Ally’s career quickly eclipses his own, Jack finds it increasingly hard to handle his fading glory. In addition to playing Ally, Germanotta, who earned her Oscar nod for the song “Til It Happens to You” from “The Hunting Ground,” has composed and will perform original songs in the film. The main cast also includes Andrew Dice Clay and Sam Elliott. 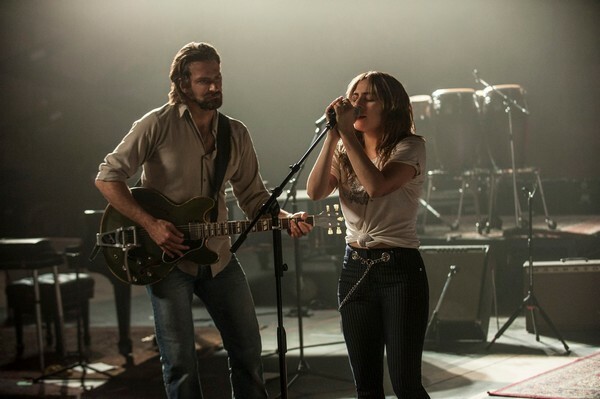 “A Star is Born” is being produced by Bill Gerber, Jon Peters, Bradley Cooper, Todd Phillips and Lynette Howell Taylor; with Basil Iwanyk and Ravi Mehta serving as executive producers. The screenplay is by Will Fetters & Bradley Cooper and Eric Roth, based on a story by William A. Wellman and Robert Carson. “A Star is Born” is being filmed entirely in Southern California. Warner Bros. Pictures presents A Jon Peters Production, A Bill Gerber Production, A Joint Effort Production, “A Star is Born.” Slated for release on September 28, 2018, the film will be distributed worldwide by Warner Bros. Pictures, a Warner Bros. Entertainment Company.